"What’s a CrickBoy?” I’m often asked. “Me! I’m a CrickBoy,” I retort. It’s not usually the answer they want, but it’s the only answer that makes sense without going into a story that I really don’t feel like telling again. 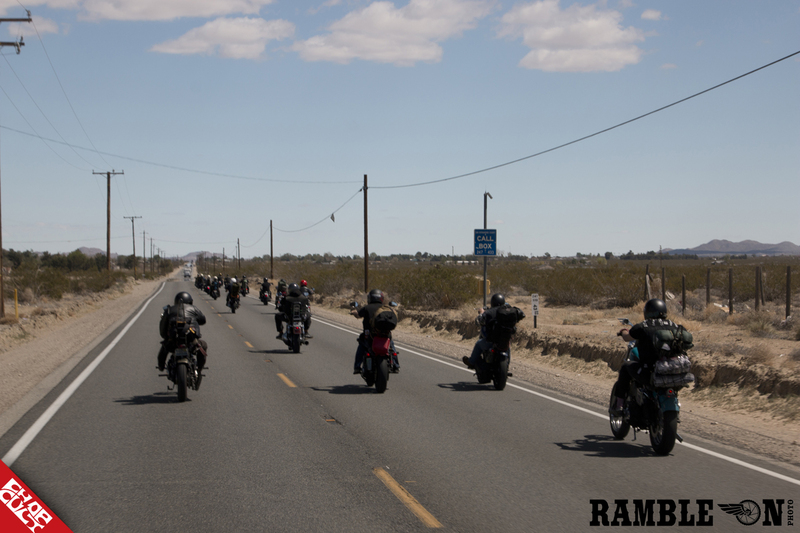 In short, it’s a group of delinquents from Southern California and Las Vegas who get together, ride and have a good time. 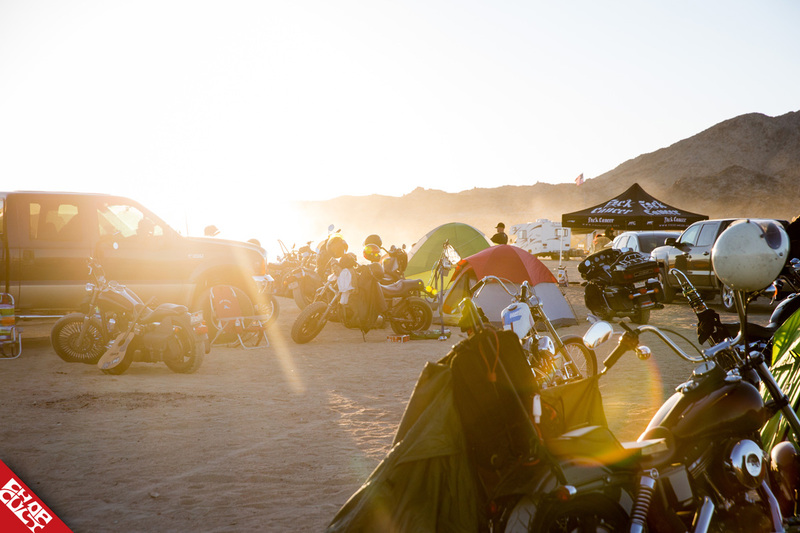 Once upon a time, we had the genius idea of throwing a party in the desert. Why? Because who doesn’t like to party? Well, some people DON’T like a good time, but this is beyond my comprehension. So, for the people who do like a good time, we planned on riding out to a cool spot, pitching some tents, and cooking up 150 pounds of pig, spreading it out over a couple of nights. 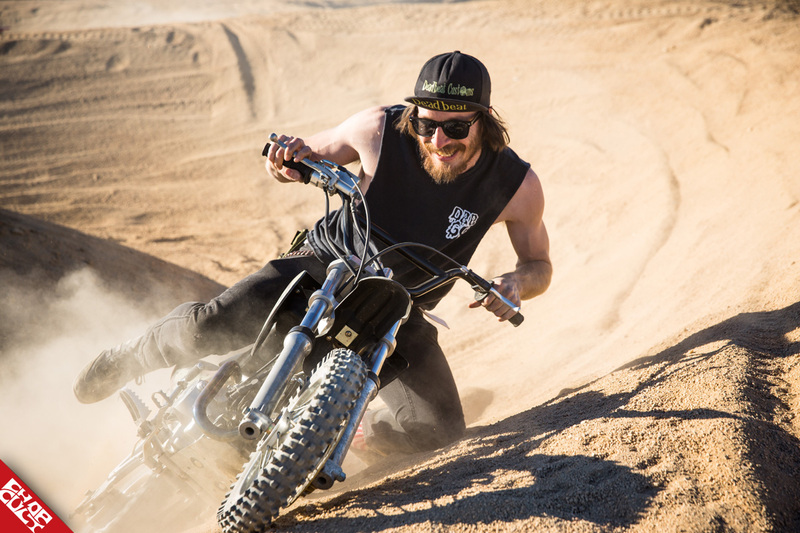 In January of 2015, while attending the King of the Hammers event with my friend and fellow CrickBoy, William Vickers, we both came to a conclusion. While standing on a rocky hillside overlooking the sandy valley below, we knew the location before us would make for a great weekend of bikes and friends. A few months later, while discussing where to throw the CrickBoys party, William and I already knew where we’d be setting up camp. There are two times per year that desert camping works: Spring and Fall. Warm days and cool evenings as opposed to decent days/frigid nights or blistering days/warm nights. So, we chose to kick off the ride-to-camp season with the CrickOut on the weekend of April 1st in Lucerne, CA. We knew people would be coming from all over California, Nevada, and Arizona. So, on the morning of April 1st, we organized rides for those who were eager to take the day off work. One group left from Southern California and the other from Las Vegas. We convened in Lucerne Valley at the Café 247. As the last pit stop before we headed into camp, final supplies and gas were collected as well as hugs and handshakes from friends new and old. One of those old friends was fellow moto-photo guru Curtis “Ramble On” Morgan, who flew down from Portland and borrowed a bike. He proved to be a great addition to the group, taking far more photos than I, as I was busy much of the weekend trying to play nice-guy host. Friday night saw our initial group of about 40-50 people setting up tents, drinking beer and eating chili cooked by Alan, of Lady Hump, and his lovely wife, Alizon. Our good friend, Dom, was definitely the MVP of the weekend, though. He borrowed a truck and made the trek back to town to pick up the hog from the butcher shop, as well as cooking wood when no one else wanted to leave the party. He returned to applause. Soon after, the cement blocks for the pit arrived and the throne for the swine was built in mere minutes. Early in the morning (around 2AM) the pork began its fiery journey into mouthwatering destiny. 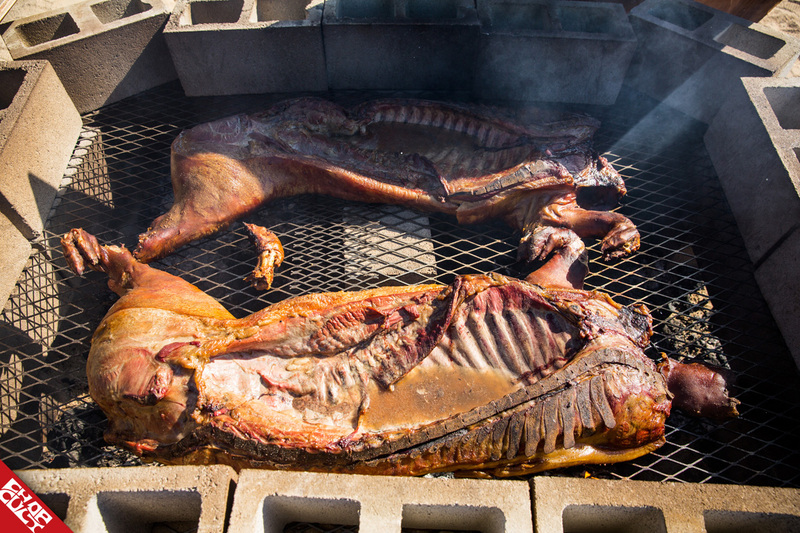 The next morning, I awoke to more people riding into camp and the sweet smell of the pig roasting into perfection. After a couple coats of sunscreen and a swig of water, a group of us took off south to Pappy & Harriet’s to meet up with some of the stragglers who couldn’t arrive the day prior. By the time we made it back to camp, the amount of people in attendance had easily doubled. The afternoon was spent with people making repairs to bikes, ripping on the mini bikes, and groups going off to explore the desert or shoot guns. The best part about the location was the mini-moto track that the camp was next to. This provided nearly constant entertainment with people testing their skills on mini bikes, dirt bikes, and even a few of their big twins. Dusk brought about a few campfires, as the gathering had gotten so big that people had spread out into a couple separate zones. The pig was picked over late into the night. The head count was approximated at around 200 people. Not a bad turn out for a first-time event. We accredit its success to being a free event. It was easy to give people a time and a place to meet and camp in Mother Nature. Sunday morning was for goodbyes and the pounding-head rides back home. Thanks to everyone who attended. Big thanks to everyone who helped out by lending a hand with the wood, the pig, buying shirts and doing your best to clean up. Thanks to Curtis for taking a grip of photos and contributing some of them to this article. Will we ever do it again on this scale? Maybe. I guess you’ll have to stay tuned for what the CrickBoys have brewing. Definitely a fun time!!! Love the photography of Louridge, they're all awesome shots but those last three night-scapes! DAMNNN!!! They're awesome! Thanks to everyone who helped put on this free campout. THUMBS UP!